It’s because a Christian novel can include both threads, spiritual love and physical love that I find them so attractive. Do you find a character complete if they are missing a spiritual dimension? Do you ever find that real people who ignore their spiritual selves seem to have a rather flat affect as well? I want to be better than I could ever be on my own. To find my completeness in Christ. Have you ever found a romance novel to be a mirror of our relationship with Christ? I think I might just print this out. It's got too much good stuff in here that I don't want to forget. Oh, and thank you Inkies for sharing all your thoughts on characters and what makes them compelling. 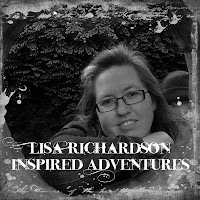 Lisa, I think you've given perfect voice to what a Christian romance novel should be!!! Bravo. What it shouldn't be and sometimes is--physical circumstances keeping hero and heroine apart but there steamy chemistry forces them to throw caution to the wind. While those lovely sparks can be worked into a godly theme, without the spiritual transformation and submission to God's will, it is not a godly message. I just finished reading Maid to Match by Deeanne Gist, and while I questioned the behavior of her hunky, hot, hero in a few scenes, the heroine did undergo a true transformation in her thinking, and the hero was a big part of that. She had to learn to hear God for herself and not just serve her mother's image of him. Now that's a good message. And of course that led her right back to hunky, hot, hero. Sigh. Thanks, Deb. I almost put up just a picture of dashing Rochester, aka Michael Fassbender, but I thought that given the topic, they should both be included. "What it shouldn't be and sometimes is--physical circumstances keeping hero and heroine apart but there steamy chemistry forces them to throw caution to the wind." I agree wholeheartedly. Those sorts of stories can feel very contrived. And they are in CBA and ABA alike, I think in CBA though we have more room to explore deeper, spiritual messages. I don't want to waste that opportunity! I agree with Deb - too much good stuff here to forget. I am so guilty of trying to conform Him to me. Sometimes it's been a struggle for me. I think we're all guilty of trying to conform God to our own image of Him in some way or another. It's certainly rampant in our society. "God is so good, I don't believe He'd do this," or "I need to do this, and God's standing in my way." I am learning to pray to recognize what God wants and what He is already doing so I can join Him, rather than dictate my own ministries. Thanks, Suzie. I think we all do it. Partially because we can't always grasp just how infinite he is. Oh, Susie. I love the thought of joining Him in what he's already doing. That is so true. He's already moving I just to come alongside. Love it! Yeah, making Him conform to us is just exactly the "idols made in man's image" thing. We think something CAN'T be really what God wants because WE don't "feel" that it's right. Good point DeAnna. I find that people also have no concept of God's love because they just can't fathom it. I don't know that I can either, but I'm willing to trust it! Great post, Lisa. It reminds me of all those women who say they'll change their husbands after the wedding. Like they can't accept who they are now, but it's okay because after a bit of brainwashing, they'll be just who (what?) they wanted. Why are they surprised when the marriage runs into trouble? When I write, I don't think ABA or CBA - I just write the story. I believe that's because my stories are more entertainment than conversion. I don't want to preach to people, I just want to show them how Christians live and that we have full, fun and wholesome lives. And bring an awareness of a loving, forgiving God between the first and last sentence. Hey, Faye! Thanks for stopping by! Anita, I love what you said: "I can't always tell when someone doesn't have Christ in their life, but I usually can when they do!" Lisa, what a great post - you gave us a dual lesson! I have given this much consideration before, though not the same example. Bless you for your insights.